Asia enjoys excellent positions in the global automotive market, as it is among the world’s largest vehicle producers and consumers. Six Asian countries – China, India, South Korea, Thailand, Malaysia, and Indonesia – accounted for 42.7% of global automotive production in 2017, data by the International Organisation of Motor Vehicle Manufacturers (OICA) showed. Three of these Asian countries, namely China, India, and South Korea, are among the top 10 global producers, claiming shares of 29.8%, 4.92%, and 4.23% of global automotive output, respectively, translating into the ranks of first, fifth, and sixth globally, as of 2017. Japan, another Asian country, ranked the third-largest motor vehicle producer in the world, with a share of 10% in 2017. Motor vehicle production went up in China, India, Thailand, and Indonesia – by 3.2%, 5.8%, 2.3%, and 3.3%, respectively - and declined slightly, by 2.7%, and more substantially, by 15.6%, in South Korea and Malaysia. In terms of sales, China ranked the world’s largest automotive market with a share of 30.1% of global sales in 2017. Japan, ranking at number three, claimed 5.4% of sales, while India, South Korea, and Indonesia reported shares of 4.2%, 1.9%, and 1.1%, respectively. All other Asian countries had smaller shares, reflecting not only their smaller markets, but also their smaller populations. 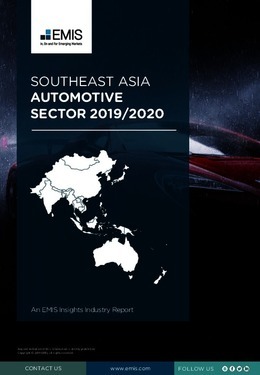 This report provides a complete and detailed analysis of the automotive sector for Southeast Asia. EMIS Insights presents in-depth business intelligence in a standard format across countries and regions, providing a balanced mix between analysis and data. Build a clear picture of trends and issues for sub-sectors (passenger cars, heavy and commercial vehicles).